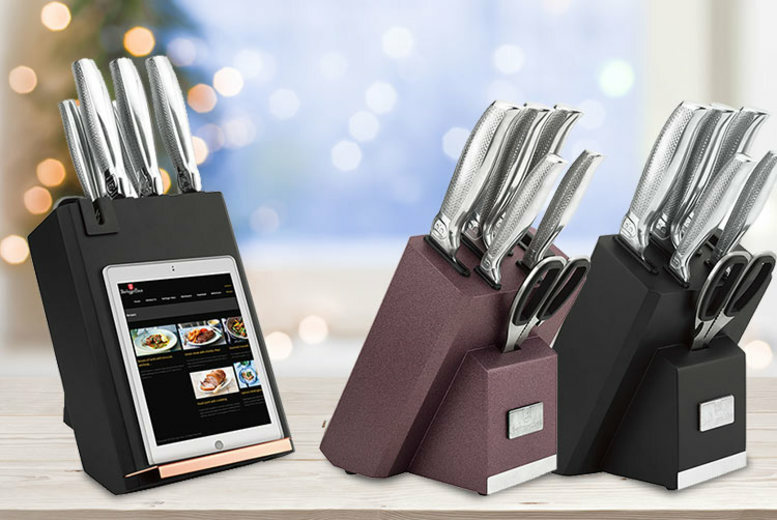 7pc Knife Set with Built-In Sharpener & Book Stand – 2 Colours! Get a seven-piece kitchen knife set from Berlinger Haus! Includes a chef knife, bread knife, Santoku knife, utility knife, paring knife and scissors. All made from stainless steel. Comes with a stand that features a built-in sharpener and book holder! Choose from two stylish colour combinations. A great addition to any kitchen!